Have you thought about investing in the Mountfield Freedom 48 range yet? It’s a fantastic range of cordless products which all share the same battery and charger, and deliver the exquisite performance of a petrol machine but with the convenience of being cordless. Why is the Freedom 48 range so excellent you ask? Well, once you’ve purchased the battery and charger you can add the different machine shells as and when you need them, due to each machine using the same battery. The 48 Volt batteries utilise the latest in cell technology and are available in either 2.0 Ah or 4.0 Ah capacities. The Mountfield MBT4840Li is the 4 Ah battery and will last twice as long as the MBT4820Li, the 2 Ah battery. There are 9 machines in the range to choose between, and I guarantee that as soon as you’ve tried a couple of products from the Mountfield Freedom 48 range, you will definitely want to build up your collection and purchase the lot! Firstly there are two lawnmowers, the Princess 34Li Freedom 48 mower, and the Princess 38Li Freedom 48 mower. These are the only two products in the range which come with the battery charger and 4Ah battery as standard. The 4Ah battery provides these mowers with enough power to cut a 250-300 square metre lawn. These mowers are fantastic thanks to their cordless innovation. There’s no mains electric cable to drag behind you or get snagged in plants and garden furniture, or worse still get cut by the blade. Simply click your battery into place and you’re ready to mow. With almost an hours mowing from just one charge of the 4Ah battery; (a class-leading Lithium-Ion power pack that comes with charger as standard), it feeds a DigiTorq brushless motor, with intelligent energy-saving technology, to deliver guaranteed power every time. Both mowers are 3 in 1 machines, meaning they can collect, discharge or mulch any grass clippings. The 34Li has a 13″ cutting width and is £269.00, whilst the 38Li has a 15″ cutting width and is available for £319.00. 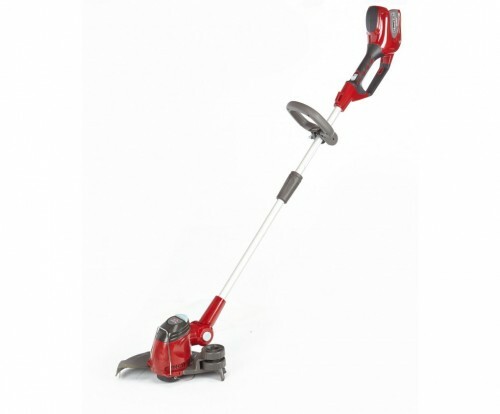 The Mountfield MT48Li Freedom 48 cordless grass trimmer has a loop handle to increase usability, and is ultra lightweight with an ergonomic design for comfortable use. It features an easy push start button to avoid any complications, and has an automatic line feed head. 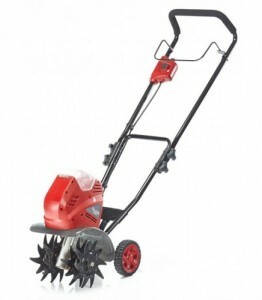 It also features a rotating head with guide wheel for trimming edges neat and carefully. This machine does not come with a battery and charger, therefore they must be purchased separately. With the 4Ah battery, this trimmer can run for up to 40 minutes (approx.). This is available for £79.00 on its own, £207.00 with the charger and 2Ah battery, and £247.00 with the charger and 4Ah battery. The Mountfield MH48LI Freedom 48 24″ cordless hedge trimmer is also lightweight and easy to use for even the most inexperienced gardeners. 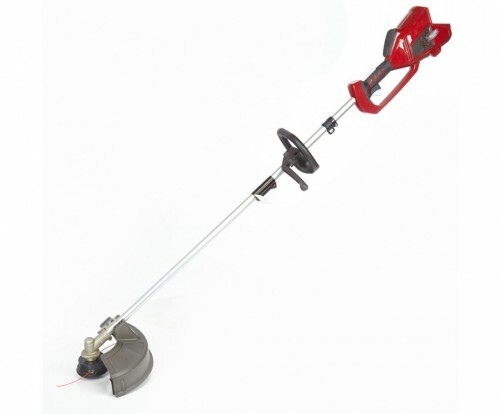 It has a 3 position rotating rear handle and and a 20mm cutting capacity. 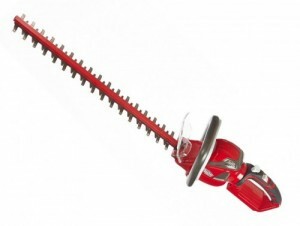 With 61cm ( 24″) dual action laser cut blades this hedge trimmer is excellent for domestic use. With a cutting time of up to 70 minutes, you will be able to tackle even the biggest trimming jobs. 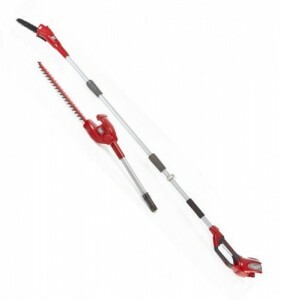 This hedge trimmer can be purchased on its own for £79.00 on its own, £207.00 with the charger and 2Ah battery, and £247.00 with the charger and 4Ah battery. The Mountfield MM48Li Freedom 48 cordless pole pruner and hedge trimmer is an amazing 2 in 1 cordless tool that’s part of the Freedom 48 range. It is both a long reach hedge trimmer and pole pruner in one. The shaft splits into 3 pieces so you can work at different heights by simply adding an extra piece. It is a truly versatile product. Supplied with a 20cm chainsaw pruning head and a 50cm reciprocating hedge trimming head which will cut growth up to 20mm in diameter, the extension shaft makes it a must for anyone with high hedges or trees to prune. With a run time of up to 50 minutes from the 4 amp-hour battery, the Mountfield pole pruner is suitable for most difficult to reach pruning jobs, giving you the power of petrol with the convenience of cordless. The hedge trimmer has 50cm dual action laser cut blades, a 7 position pivoting head with 20mm cutting capacity and also comes complete with a harness. This 2-in-1 machine can be purchased for £139.00 on its own, £267.00 with charger and 2Ah battery, or £307.00 with charger and 4Ah battery. 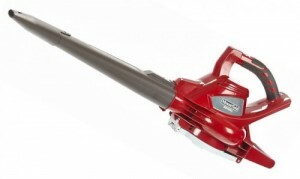 The Mountfield MBV48Li Freedom 48 cordless blower vacuum is the most powerful rechargeable blower on the market. It has a 174mph (280km/h) maximum air speed and a variable speed dial with Hi/Lo power switch. It’s incredibly lightweight and easy to use, and with the 4Ah battery can produce up to 30 minutes of running time. 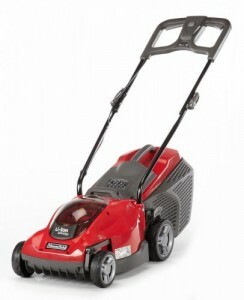 It has a highly efficient DigiTorq brushess motor and has an easy tool-less conversion between blower and vac mode. This shell product can be purchased for £139.00 on its own, £267.00 with charger and 2Ah battery, or £307.00 with charger and 4Ah battery. The Mountfield MB48LI Freedom 48 cordless brush cutter has a D-loop handle, and a straight shaft so that is ideal for the average domestic home-owner. The anti-vibration system protects users from any harmful damage from over-use of the machine. It has a 14″ cutting width and a run time of 40 minutes. This shell product can be purchased for £139.00 on its own, £267.00 with charger and 2Ah battery, or £307.00 with charger and 4Ah battery. 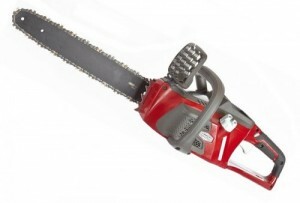 The Mountfield MC48Li Freedom48 16″ cordless chainsaw has brushless motor technology and tool-less chain tensioning. It features a robust 16″ steel chain and bar, which is an ideal size for domestic use. It has a chain brake, hand guard and quick release trigger, and only weighs 4kg. This chainsaw can be purchased for £139.00 on its own, £267.00 with charger and 2Ah battery, or £307.00 with charger and 4Ah battery. Last but not least we have the Mountfield MR48Li Freedom 48 cordless tiller. It has a tilling width up to 26cm, and a working depth up to 20 cm, so it’s ideal for small domestic allotments and garden use. It can even be used as a mechanical hoe for general weeding. It has a brushed motor and a typical running time of roughly 30 minutes. This shell product can be purchased for £139.00 on its own, £267.00 with charger and 2Ah battery, or £307.00 with charger and 4Ah battery. 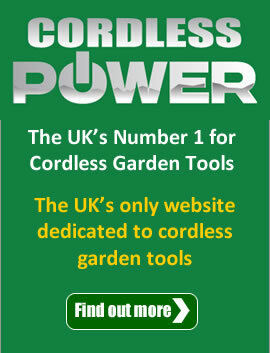 Invest in the Mountfield Cordless Freedom 48 range today, and cover all your gardening needs. If you’re uncertain about anything, or would like further details, then call our highly experienced sales team now on 01263 820202 for helpful, friendly advice.